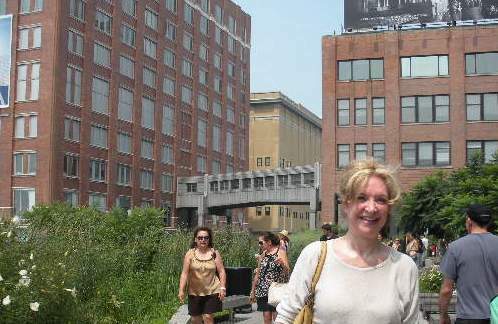 In a classic “Manhattan Moment,” while I was strolling along New York City’s elevated High Line Park from Chelsea to the Meat Packing District, enjoying the view from the former rail tracks and flowering gardens, I heard my name called. Okay, I lived there in the 1970s and ’80s, so I guessed I happened to be bumping into a friend from the day. But instead, I turned to see Cynthia from Dallas, Texas! A friend of Joe Rhodes, she’d recently stayed with me in Pasadena, when closing up her mother’s home on Grand Avenue, just two blocks from my cottage. Okay, coincidence, maybe. Or meaningful synchronicity and an acausal parallelism, if you believe Carl Jung. What are the chances? And more importantly, what might it signify? Something to consider. But lunch at the Chelsea Market was a delicious discovery and Cynthia’s company, always fun. 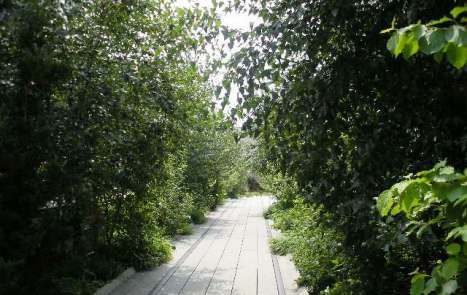 This entry was posted in Travel and tagged High Line, New York City, travel. Bookmark the permalink.